The giant search engine has been skating on thin ice lately. With anti-trust probes and most people thinking the company knows too much about us already, it seems that Google’s motto of “Do no evil” is a bit hypocritical. 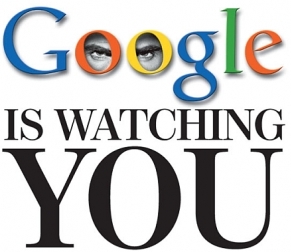 It’s not that Google’s intentions are necessarily evil, but the perception is that they are. 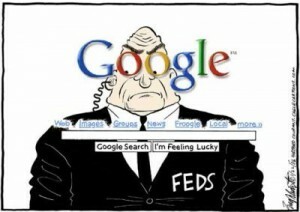 After all, when you are the biggest search engine in the world, you pretty much own the internet, and you know more about your users than they even know, it’s pretty easy to see why people are paranoid about what Google knows. So what does Google know about you? Well first you have to know why Google wants to get to know you so intimately. It’s all about the almighty dollar and how much money they can get from targeted ads. The more their advertisers see results with ads that are specific for each user, the more money Google can make through selling those ads. So they want to know about your habits and hobbies and they do this by tracking everything you do online. If you use Google maps or their app for finding your location with your phone or mobile device, Google uses this information to show local ads that may be more relevant. And if you ask the company about these issues they make it sound like you should be happy with this tracking because you get to see ads you are more likely to be interested in. But do any of us like to see ads at all? Isn’t it the commercials that we are trying to skip (unless it’s the Super Bowl of course). Personally, I don’t want ads to be catered to my surfing habits because I search a broad range of topics, and I don’t care to see ads for hemorrhoids when I was searching for my Uncle for a way to deal with the problem. You might think it’s cool for a search engine company to know so much about you and be able to show you advertising that you are actually interested in, but remember that this is a private company that knows all of this about you. And we all need to consider how safe this information really is and what happens when someone feels like using this information against us, either to steal our identities or just make life miserable. And with today’s technology it’s easier than ever to have your hard earned reputation washed down the drain because at one time that technology was “cool”. SafeIdentityProtection.com is a website dedicated to helping consumers keep their privacy and identities protected. This is a guest post written by Greg Reiner who writes articles on how to find the best identity theft protection and he writes reviews like Lifelock reviews to help consumers know which ID theft company will protect them the best.